Harris County authorities are hunting a murderer who they say cut his ankle monitor and fled ahead of his sentencing. HARRIS COUNTY (KTRK) -- The search is on for a man who plead guilty in the murder of a local teenager. Jose Luis Hernandez, 22, was supposed to be sentenced on Thursday, but he cut off his ankle monitor and is believed to be in Mexico. Bryan Blanco, 17, took his last breath days after Christmas in 2014. His family said the holidays have never been the same, and they miss him just as much every year. "Bryan was an innocent kid, for Hernandez to take his life, he's nobody to take his life. He's nobody to decide whether Bryan should have lived or died," Bryan's aunt, Katherine Cerda, said. The two men behind his murder are Frank Marinero, 23, and Hernandez. Prosecutors said the duo created a fake Facebook page to confront him about a girl. They lured him to Sharpstown Park, on the 6600 block of Harbor Town Drive, and shot him dead. 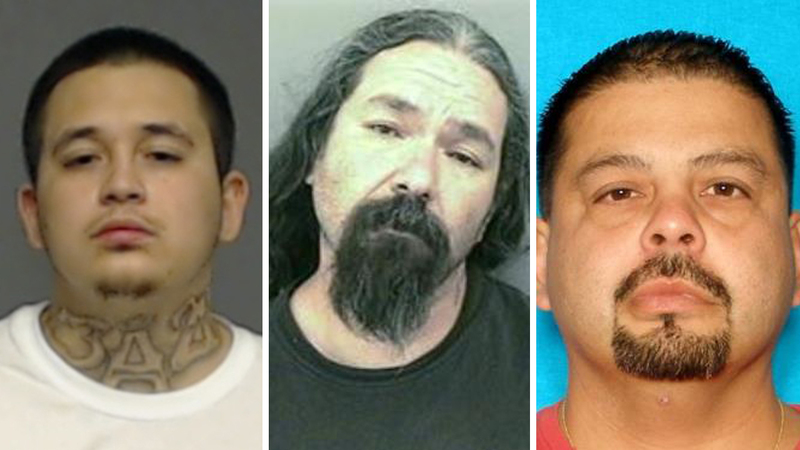 Authorities are searching for a Bryan Blanco's killer. "They planned it out," said Cerda. "They knew what they were coming to do. They were coming to kill him and they knew that." Marinero was found guilty and sentenced to 99 years in August. Meanwhile, Hernandez was supposed to be sentenced Thursday, but he cut off his ankle monitor and is believed to have fled the country. "It makes me very upset for all our family," Cerda said. Prosecutors said Hernandez was able to pay the $85,000 bond and the judge had him under very strict conditions. He never missed a court date, and they didn't have reason to believe he was a flight risk. "He fooled the system. He got away with it. Hopefully he gets caught soon," Bryan's uncle, Carlos Vasquez, said. Anyone with information on Hernandez's whereabouts is urged to call Houston police or Crime Stoppers at 713-222-TIPS.